Hello and welcome! 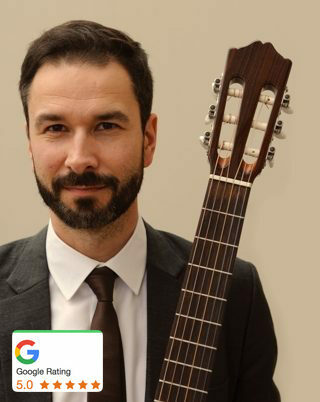 I specialise in performing classical guitar for weddings, corporate & private events with a unique repertoire of modern popular music. Based in Cambridgeshire/London and available UK wide. 100+ reviews with five star ratings on Google and Facebook. My repertoire is a little different to other 'classical' guitarists in that it is based exclusively on well-known popular hits from 1960's to present day jazz-blues, pop & rock. Available across the Southern UK, I can operate indoors or outdoors independent of mains power and typically perform for 90-120mins. Reliable and highly recommended. For more info see my FAQ page. Read on for more customer reviews dating back to 2011 Read more 5 Star reviews on Facebook. "Andy played at my wedding in August, and he was amazeballs!!! He was super helpful choosing the music, played amazingly and he is a genuinely lovely guy. Highly recommend him." "We booked Andy for our wedding in May 2017. He played before, during and after our ceremony. He was great! Such a great guy, a gentlemen and very professional. He was great with helping us decide our song choices during the ceremony (as we didn't have a clue!) and was very flexible to our needs. All of our guests couldn't speak highly enough about him and I would recommend him to anyone." "Just to give you some positive feed back on Andy at our event Friday evening. He was excellent so many people commented on his lovely music it was very special and perfect for our event. Also he was such a delightful person we would not hesitate on recommending him, and hope to book him again in the future." "Andy played at our ceremony and reception drinks on Saturday and it was fantastic. As soon as I heard the song we requested for my to walk down the aisle I was in tears. The music was such a beautiful mix and everyone told me how wonderful the music was. My friends were in tears to an acoustic version of Shake it Off! I would recommend Andy to anyone! His music would suit so many settings and was the perfect touch to our relaxed spring wedding." "We wanted to send a huge thank you to you for your amazing guitar playing at our 50th celebration. We had so many people who came up to us and told us how brilliant they all thought you were"
"Just wanted to say a big thank you for playing at our wedding on Sunday. It was absolutely perfect. You did an amazing job!" "We just wanted to say a massive thank you for the fantastic afternoon you gave us, playing at our wedding at High Rocks on 23rd September. All of guests were absolutely bowled over by the beautiful selection you gave us and your wonderful playing. We had comments all day long - it completely made our champagne reception for us and all our guests! The song we asked you to play for my entrance down the aisle really meant a lot to me and you played and arranged it so beautifully, will real sincerity. A few of the guests filmed my entrance and sent the video on to me and every time I have watched it I have been struck by how beautifully you played. From the moment we booked you we were confident you would do a fantastic job, all the communications from you were so clear and friendly and nothing was too much trouble. Thank you so much for everything! You really made our wedding ceremony and champagne reception truly fantastic!" "Andy was brilliant. The music for our ceremony was perfect and beautiful. And for the drinks reception it was the perfect background and a lot of people commented on the great selection of songs played. I would 100% recommend to anyone"
"I just wanted to thank you for playing at the wedding yesterday - you perfectly read the tone and mood of the venue and of the guests and your repertoire was amazing." "It was lovely to have you play. Everyone commented on how good you were and what a nice touch it was." "I just wanted to say thank you very much for Saturday, the music was amazing and everyone really enjoyed it. I will definitely be recommending you." "Andy was relaxed, calm and friendly from the start. He knew just what setup was needed and had that professional's way of knowing what we wanted almost before we did. Of course all the professionalism in the world is no good without talent, and Andy is a very skilled player indeed. A number of guests commented on him and the relaxed, mellow feel he gave to the day." "Andy was wonderful. Our guests and ourselves really enjoyed his performance. He was very friendly, accommodating and professional. It was a pleasure to meet him and have him be a big part of our special day. We would not hesitate to recommend to others." "We had so many compliments from our guests about your music - they loved Top Gun and The Power of Love! It was brilliant. Very subtle, very funny and very "us" but without being cheesy!" "We would like to thank you for being part of our day and making it truly special. Your music was just perfect for our wedding ceremony and drinks reception at River Cottage and we wouldn’t change anything. You were excellent and so easy to work with from start to finish - helping us plan what songs we should have during our ceremony, but also using your experience on the day to choose the songs that you thought would fit the moment. Our friends and family couldn’t stop saying how great you were and we completely agree!! We really can’t thank you enough!! To anyone thinking of booking Andy, we would highly recommend him - you won’t be disappointed! THANK YOU!" "Andy is a pro - knows his stuff, is punctual, has great feel and tone, and a varied and brilliant repertoire. Thank you Andy." "Booking was simple & straight forward. He arrived punctually, smartly dressed appropriate to the occasion and was easy to work with in setting up the performance locations. His flexibility throughout the event made the musical accompaniment a great bonus to the overall success of the party. As a more mature group (50-80 years!) his choice of programme fitted the bill perfectly. We were delighted with every aspect of Andy's involvement and thoroughly recommend him." "We were absolutely thrilled with Andy's performance at our wedding and we have had nothing but compliments from our guests. He really read the crowd well and helped to create the relaxed atmosphere that we were looking for. Such a lovely guy - would highly recommend." "Cannot thank Andy enough for playing at our wedding and helping to make our day just perfect. Our guests thoroughly enjoyed Andy's music and we couldn't have been happier with his performance on the day. We would not hesitate in recommending Andy to anyone, he brings class to any wedding and is extremely talented. Thanks again Andy!" "Your music was beautiful and perfect for the day and venue. A lot of our guests commented on how much they enjoyed the music and song selection!" "We just wanted to say thank you so much for your performance on our wedding day. Everyone commented on how great you were and you absolutely nailed 'Fields Of Gold' when Nic walked down the aisle. It really created a moment that we will never forget!" "Andrew and I just wanted to say that it was an absolute pleasure having you play at our wedding. The music really made the ceremony special and many of the guests commented on how it made a wonderful atmosphere during the ceremony and drinks reception. It was lovely to meet you and thanks again for bring part of our wonderful wedding day." "Andy was booked for a surprise birthday garden party at our house as background entertainment for around 40-50 guests. Andy turned up on time and was set up and ready to go when the guest of honour arrived and then for a couple of hours provided us with some beautiful, relaxing background music that allowed everybody to chat normally and that added perfectly to the feel of the afternoon. All our guests commented on how pleasant the mood he created was and we are already talking about other events that we might be able to book him for. Thoroughly worthwhile and definitely recommended." "Andy Cherry is an extremely professional and competent artist who was very friendly and helpful. He has my full recommendation!" "Thank you for playing. We very much enjoyed you providing the perfect backdrop to the drinks reception. Our guests loved your music too. We can't believe how lucky we were with the weather and it was great you could play outside!" "Just wanted to drop you a quick email to thank you for your lovely playing on Wednesday. I have received so many comments saying how much people enjoying listening to you, and were really glad that we had booked you for the day! "We booked Andy for our wedding and I'm so glad we did. Andy arrived with plenty of time to introduce himself, speak with the registrar and setup. We kept the majority of the day including the ceremony outdoors and the atmosphere Andy created with his playing during the ceremony and cocktail hour was beautiful. The song selections we made during the email exchanges prior to the day were all there, and we left everything else up to him, and he nailed it. I'm no stranger to the guitar and I can tell you Andy's ability is top drawer, flawless tone and his taste in music was perfect for the occasion and made leaving the setlist in his hands an easy decision, and one I was greatly rewarded for. A true gentleman and fantastic Musician." "We booked Andy for our wedding purely from what we saw from his web-site and being intrigued with his style of music and repertoire. He fitted into the day seamlessly, helping to make it the perfect day we hoped for. Our guests loved his music in the church ceremony and later at the reception, we had so many comments from people asking who he was. Andy was also very helpful and responsive in the build up to the big day, learning a couple of special songs for us to play during the processional and recessional, Elbow and The Cure, and hearing Black Eyed Peas and Taylor Swift in classical style topped it off! Thanks again Andy." "We booked Andy to play at our wedding during the ceremony and after ceremony drinks and so glad we did. He was absolutely fantastic both in terms of booking but especially on the day. His music helped to create a romantic but relaxed atmosphere and he learned a beautiful version of one of our favourite songs to play during the signing of the register. His repertoire is so varied and he offered something completely different to other musicians we looked at. We were married at the Emirates stadium and his rendition of the Match of the Day theme tune as we walked back down the aisle went down a treat- the guests loved it and it started off an amazing day so perfectly." "Andy was absolutely fantastic at our Wedding. All of our guests commented on how wonderful he was and what an amazing variety of songs he played. We enjoyed every single minute of his performance and would highly recommend to others. Can't wait to have another reason to hire Andy again." "Andy was nothing but a pleasure from start to finish. He is easy to communicate with and he made sure we were really happy with the songs we had planned together. His range of songs is fantastic and he mixes some real classics with more obscure songs, the choice is fantastic. He even learnt a song especially for my walk down the aisle. What a star!" "I just wanted to personally thank you for last Saturday. Everyone raved about how fantastic you were. We would love to find an excuse you get you to play for us all again." "Wow!!! Absolutely fantastic!! Andy played at the church for us and for the welcoming drinks and canapés!! He was a great touch. A great guitarist and very flexible with his repertoire!! Everyone said how good he was!! We would definitely recommend and will use him again in the future. Thank you so much Andy.....two satisfied customers!" "Andy played at our wedding which was a very small , intimate occasion. He was everything we had hoped for. He arrived and set up in plenty of time. Was friendly but professional and all our guests asked where we had found him. We would have no hesitation in recommending him to others." "Andy is fantastic! From the moment we contacted him about playing at our wedding, we felt in safe hands. Andy helped us work out the best timings for him to play, based on his experience (even though this meant him earning less money), and was really friendly and professional in his approach. On the day, Andy was a delight, arriving and setting up in good time and then playing beautifully during the drinks reception and after the meal. We received so many comments from our guests, many of them professional musicians themselves, about how great Andy was and, during the breaks he was friendly and chatty with guests who approached him. We highly recommend Andy." "We booked Andy to play during our wedding dinner which was held in a small but rather intimate location. He is a total professional who instinctively was able to find the right balance - entertaining our guests without dominating. Andy really was the icing on the cake for a thoroughly memorable day. A very talented musician with a unique style and refreshing repertoire. Would highly recommend to anyone." "We were so pleased that Andy performed at our wedding. He performed during our drinks reception and gave a wonderful atmosphere playing songs that people of all ages could recognise. Andy is friendly, professional and an excellent musician and I wouldn't hesitate to recommend him!" "Andy was prompt was able to arrange himself and fitted in well without need for any additional requirements. He mingled with our guests and chatted with everyone. He was incredibly friendly and polite. We gave him free reign on what to play apart from songs during service. Had great comments about him and fitted in brilliantly and lots of positive comments about his playing. Would certainly recommend!" "Andy was friendly and professional, his music really set the atmosphere for our wedding. He played everything from the wedding march to Michael Jackson! He was easy to book and made our surprise church wedding so special. Our guests kept coming up to us asking us about him. He was so lovely and came to thank us for having him when he had finished. A genuinely nice guy....... I want to book him again for an event, I just need a reason!!!" "Andy was one of the most professional and friendly suppliers we dealt with in the run up to the wedding. His playing on the day was even better than we could of hoped for. His warmth, friendly manner and ease really set the tone of the day perfectly. I wouldn’t hesitate in recommending him and we are still receiving compliments from our guests." 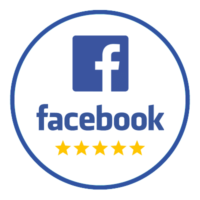 "Well presented and friendly to our guests, Andy made it a memorable service and the fact he didn't need a mains source was so helpful. He called us before the event so we could go over some last minute questions, he 'got' us as a couple and really tailored his music choices he played on the day - from the Wedding March to Michael Jackson - Andy really played to the crowd. Friendly and professional, his music really set the atmosphere for our wedding. Our guests kept coming up to us asking us about him. He was so lovely and came to thank us for having him when he had finished. A genuinely nice guy....... I want to book him again for an event, I just need a reason!!!" "Our expectations were exceeded. All of our guests commented on how well he played. Brilliant and bravo! The short MP3's on the website are a good representation of the artist that we booked however in real life, the artist surpassed these. It was a real pleasure to meet Andy. A true gentleman. There are certain things that stand out on the day and hearing him in the Church playing whilst we signed the register is certainly one of them. Thank you Andy!" "Thank you for putting on a great performance at my sisters wedding yesterday, the music was incredible and really set the ambiance, made it truly special for us all with your talent. People probably don't recognise or value what you do as much as you need credit for, it really made the event have atmosphere and special"
"An utmost professional who made our drinks reception at our wedding an upbeat and entertaining event. He even took the time to come and check that we were happy with his performance and we would highly recommend him." "Good performance, enjoyable, polite, presentable and likeable. Good quality sound and Andy pitched the level of volume just right throughout." "Andy makes you feel relaxed, his music skills are great, his choice of music and his range is great. To perform in a small dome in the middle of field with his own power system and make wonderful music was brilliant. The feedback was brilliant, we all could listen to him all night. Andy was great and a big thank you to him." "Andy was top drawer, very professional and was prepared for any situation as the heavens opened on us a couple of times. A very nice person who went about his business with no fuss. The number of people that commented on how nice it was having the guitar music was countless, all good comments might I add and that was down to Andy. I would recommend him 110% to anyone. If you could thank Andy on our behalf and thank you also." "Andy was great. He was well organised, flexible, good looking and polite. Everyone loved the music he played and my children were impressed with some of his songs played on the guitar, such a talented young man. 10/10. We would use him again and recommend him to other people without doubt. Just sorry I didn't have time to chat to him and thank him at the end." "Andy literally set the scene for our ceremony and wedding. He is such a talented artist I cannot express in words how highly I recommend him. He is punctual, extremely professional, clean, dapper, well presented. So communicative and thorough. I had my utmost trust in him and all of our guests said how unbelievable the music was. He used initiative when he had to (it rained at one point). Thank you so much Andy for making our wedding so special and perfect." "Andy has a true talent, and we were lucky to have him play at our wedding reception. Everybody loved him and his music. Definitely would recommend Andy to everyone!!" "A big thank you from us both for being a part of our day on Saturday. It was everything we could have wished for, and you were exactly what we had hoped you would be! We would not hesitate in recommending you to anyone! Everyone really enjoyed what you did, but no one more than Tom and I." "We booked Andy to play during the drinks reception following our wedding and he exceeded our expectations. I absolutely loved the music he played on his guitar and it created the right atmosphere I wanted for my special day. I would highly recommend Andy. He is very professional and the only negative thing I would say is I wish I had booked him for longer!! Andy made our day so special. Luckily we had good weather and he played outside. Everyone loved him." 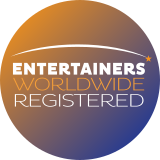 "Thank you for entertaining our hundreds of guests at The Global Party press launch - we've had great feedback "
"The performance at our major event at London Zoo was spot on and added to the wow factor we created. Highly recommended". "Andy made our wedding day extremely special. Having live music for our ceremony made the whole service feel very intimate. All of our guests commented on how the music made the ceremony. I would highly recommend Andy for any function where you want a talented musician to play a huge variety of music." "Andy arrived on time and was very quick setting up. He was extremely polite and flexible regarding timings, our guests were delighted with his performance and he played really well." "Nick and I just wanted to say a big thank you for performing at our wedding at Upwaltham Barns on 25 April. The music was the perfect accompaniment to the ceremony and your choice of songs during the champagne reception was so well suited to the occasion. We had lots of people comment on how much they enjoyed your playing (the Indiana Jones theme tune was a particular hit!)." "While looking on the Internet for a solo guitarist to play at our wedding ceremony and drinks reception, we came across Andy Nash. We were very impressed with the reviews that Andy had already been left so felt confident to go ahead and book. Right from the start we can honestly say we were not disappointed. Andy replied to all our emails very quickly, and even gave us valuable advice as to what he could play during our ceremony. Everyone on the day commented on how good Andy was and that it bought a nice ambiance to the drinks reception. Andy arrived suited and booted, looked the part and blended in nicely with our guests. We can highly recommend him. Thank you for being part of our special day and for doing a great job." "We hired Andy to perform the music for the ceremony and then for the reception. It was a very good decision, it perfectly matched the relaxed theme we tried to give to the event. The guests had a lot of fun during the reception, we've got great feedback. He was very professional and we don't hesitate to recommend him." "Thank you so much for playing, the music was lovely, particularly loved walking down the aisle to Elbow and signing the register to 'Ho Hey' so thanks again for learning them. I know a few of Adam's friends are wannabe guitar players and thought you were great, I think a few of them spoke to you. Also a friend of mine was very excited to hear the Indiana Jones theme!" "Andy played at our wedding on 5th October 2013, he was already set up and playing when we arrived at the venue and played during our arrival drinks reception. Andy played a varied mix of songs which all the guests loved and so many people commented on how great he was. We let Andy choose what to play and he was extremely flexible and accommodating throughout the day with timings and locations. It was just what we wanted on our wedding day. We would recommend Andy to anyone. Thank you so much for helping make our day so special." "Andy performed a two and a half hour set for our wedding and we were not disappointed, Andy was amazing! A well dressed, talented musician who was professional throughout the whole day and extremely friendly with all the guests. He really helped set the mood for a perfect day and everyone spoke very highly of him"
"Andy was booked to play at our drinks reception, when we arrived from church Andy was in full swing. We left it to Andy to play what he liked but to keep it lively, which he did. We both loved it and our guests say he was FAB!!" "We had so many positive comments about you, and our guests loved the music choices... Thanks again for being a part of our day and helping to make it so amazing!" "Andy performed at our wedding, drinks reception, on the 6th May. He was brilliant. Everyone loved him. His music was fantastic, everyone loved trying to guess the tunes. I would book him again without a seconds thought. Brilliant. Thank you for making our day!" "Andy was superb at our wedding. He arrived promptly and was flexible with what we wanted played. He was personable and played a generous set time. His performance was great and our guests really enjoyed it." "Andy contacted me in advance. I explained the event and audience and left everything to him and it all worked. On the night he was excellent. There was a great choice of music that fitted the event/audience mood well. It made the night, thank you." "We were so so happy with Andy. He was presentable, professional, and very accommodating to my song request. On the wedding day, we had SO many of our friends and family commenting on how fantastic he was. He even had a few people dancing and singing to the songs since they recognised them. As mentioned before, we have a couple of friends getting married next year, who have already been in touch with me asking for his details so they can potentially book him too. Even after the wedding, Andy is a key factor of the wedding that people have complimented to us. So we are extremely happy that he was part of our big day!" "5 STAR!! We booked Andy through Alive Network for our wedding this September. He played a two hour set during our wedding breakfast, and we must say he was absolutely fantastic. He really is extremely talented and I lost count of how many of our guests said how much they had enjoyed listening to him, my only regret is that we didnt book him for longer!! And he's a lovely guy to go with it. It was the exact sort of performance i had hoped it would be and we can't recommend him highly enough, we will definitely be booking him again some day in the future." "We were really happy with Andy's service! Andy arrived early and quickly set up. He was polite, discreet and plays beautifully. He also helped guide us through which songs he thought would be appropriate for our wedding. He's also charming and goes down well with the ladies :-)"
"Andy was the perfect choice for during our wedding ceremony and wedding breakfast. All our guests were very complimentary about him. He created the perfect ambiance we wanted. He was also helpful in assisting us to choose the right music for our ceremony. We really left it up to him and it was all wonderful. He was very well presented and a perfect gentleman. I would highly recommend him to anyone looking for non obtrusive acoustics for their wedding or similar." "We were delighted with Andy's performance which was flexible and brilliant. He played to a mixed age audience from 4-84 years old and all were enthralled with his playing. He was a joy to listen to. Would recommend him to anyone. A lovely man too." "Andy communicated before the date, as promised. He played exactly what I had requested, was professional, discreet and added an excellent ambiance to our drinks reception. It was exactly what I had hoped for." "Andy played 2 x one hour sets at my dad's 70th birthday party on Saturday. He was absolutely terrific, he arrived early, was courteous, funny and very professional. His range of music was very impressive, I was very busy on the night, but heard everything from Mamas and the Papas to the Black Eyed Peas. His music was not intrusive, but a fantastic asset to a great party. I could not recommend him highly enough." "Just wanted to say how fantastic Andy was on Saturday - the weather was quite cold but he was set up outside to greet us and our guests to music and then moved inside whilst we all mingled. Lots of guests came up and said how different and lovely it was to arrive to an acoustic guitarist, my only negative is that we didnt get to hear more of him as we were having photos taken!" "We would like to say a huge thanks for such a lovely performance at our wedding recently. The music was excellent, our guests were very impressed. Professional, lovely to deal with, well turned out..... AND a very talented musician. Thank you for making our day even more special!" "Andy's repertoire of music was brilliant and just what we had hoped for, he played a great variety of songs from the era that we favoured and made such an impact on the overall vibe and atmosphere. We couldn't have asked for a better guitarist, he is worth every penny!" "Andy was great. In advance he sent us a list of songs, and asked us to choose 5 we definitely wanted him to play, which was helpful. He arrived in plenty of time, and spent some time with us before playing to understand the sort of music we wanted, and he played great background music, without becoming the centre of attention, which given our relaxed occasion was exactly what we wanted." "Andy is friendly, professional and a genuine nice guy. I wouldn't hesitate to book him again, he's a truly talented guitar player." "Andy was professional, well presented and played all the kind of music we love. Always with a smile on his face and even joining in on a few group photos, we couldn't have asked for a better musician on our special day." "Andy was excellent and professional. Extremely helpful and flexible ensuring that our wedding day was special. His playing was to the highest standards and we would definately recommend him. All the guests commented on how good Andy was and we cannot thank him enough for his services." My repertoire is a carefully chosen selection of contemporary music - unique among 'classical' wedding guitarists - to cater for a wide range of tastes and age groups (with a little humour thrown in for good measure!). You'll find everything from romantic to rock 'n' roll, jazz standards, movie soundtracks and the odd classical piece. Tried and tested over several hundred bookings, the arrangements are highly adaptable with the song list under constant development. Click HERE for a little guidance in choosing music for wedding ceremonies. "... the Indiana Jones theme tune was a particular hit!" "My friends were in tears to an acoustic version of Shake it Off!" "We wanted something a little bit different ... great song choices that really reflected our style of day and our personalities..."
I use an electronic looper-sampler pedal to layer parts and incorporate a lot of live improvisation into my performance - while of course remaining faithful to the familiar melodies of the original. My style is perhaps best described as 'pseudo-classical' with a little jazz-blues influence. The list below represents my 'standard' set-list; additional requests may incur an extra charge (see FAQ). Indiana Jones, Star Wars, Rocky, Superman, ET, Kill Bill, Top Gun, Jurassic Park, Last of the Mohicans, Match of the Day, Neighbours, Black Beauty. I can also play the traditional Bridal Chorus 'Here Comes the Bride' by Wagner and Pachelbel's Canon. The above selection is based on the most obvious, popular choices across pop, jazz and rock - I can play lots more by artists such as Nirvana, Pink Floyd, Flight of the Conchords, Foo Fighters, Radiohead and even Rage Against the Machine if you fancy something a bit different! I'm very open to learning quirky versions of songs so don't be afraid to ask. Film themes such as Indiana Jones, Rocky, Top Gun and Star Wars are always popular - not to mention the title music to Match of the Day and Black Beauty! A: Send me an email with date, venue event type and approximate timings - I'll then get back to you with a quote. Should you wish to confirm, I'll issue a brief contract requesting 25% deposit. Q: Is the quoted price inclusive of travel costs? A: Yes, prices are calculated based on travel from Cambridgeshire and are inclusive of all travel, PLI* and equipment costs. For particularly long journeys and international bookings the quote may be inclusive of overnight accommodation. My colleague Ryan can also cover bookings further North from his base in Manchester UK. Q: Can I request songs not on your existing repertoire? A: Yes, but be aware that this will incur a small extra charge of £30 per request in most cases. I am based in South Cambridgeshire and regularly work across the following counties: Cambridgeshire, Bedfordshire, Hertfordshire, Greater London, Buckinghamshire, Essex, Suffolk, Surrey, Kent, Berkshire, Oxfordshire. I also welcome enquiries from further afield across Southern Counties such as Sussex, Hampshire, Dorset, Devon as well as being able to offer a competitive rate for overseas bookings. My colleague Ryan can also cover some Northern Counties from his base in Manchester UK. Q: How do you structure your prices? My prices are calculated based mainly on travel/distance, time of year (i.e. peak between Jun-Sep), day of the week and playing time required. Song requests are subject to a supplementary charge, and any accommodation/extra waiting time/supplementary equipment required should be agreed prior to confirming a booking. Saturdays during peak season start at £300. Note also that my prices include transport, equipment and PLI insurance; while there are no added fees as such, a little light refreshment post-performance is discretionary and hugely appreciated! Q: How and when do I pay? A: I ask for 25% deposit BACS payment or cheque on confirmation of date (w/contract), with the rest usually being paid either on the day of the event or beforehand in some cases. Invoices can be issued on request, BACS payments are preferred as it saves dealing with cash/cheques on the day. Q: What do we need to provide on the day? A: Armless chair/short stool, parking space and suitable refreshments/meal if at all possible - a private room to change is helpful but not essential. Please also let me know if there will be any professional videographers, and if I'll need to set up in more than one place. Q: How long do you usually play for? A: Typically 90-120 mins in total is recommended, and is usually enough to cover ceremony/drinks reception although I can cover up to 3hrs if necessary. Q: Do you need mains power? A: No - I work entirely on (rechargeable) batteries. It's always nice to play outside if the weather allows! NB Some venues are restricted by a live music license/PAT - however because I don't use mains power this should not be a problem. If in doubt, refer the venue directly to me. Q: Will be you be wearing a suit? A: Yes I will be wearing a suit (waistcoat in summer) unless otherwise agreed beforehand. Q: What are your favourite songs to play? A: Definitely the film themes - such as Star Wars, Top Gun and Jurassic Park, Take 5 is always a hit and I do enjoy the comedy factor of Taylor Swift and George Michael. Bowie, John Martyn, Al Green, Radiohead, Red Hot Chili Peppers, Rolling Stones and Pink Floyd are all pillars of my personal collection so it's good to bring some of those influences in when the situation allows. Q: How would you describe your style and why is it unique? Q: What songs do you recommend for ceremonies? A: I have played all sorts from Sting and Pachelbel to Huey Lewis and Star Wars, so there's a real range and song choices are ultimately tailored specifically for each couple. Having said that, I would typically choose slow songs for the entrance register signing, followed by something more upbeat for the exit. The traditional Bridal Chorus translates to the guitar really well and Canon is also a popular choice. It's great to be able to personalise the music for a couple, so do come to me with requests regardless of what style of music it is. See my brief guide on choosing wedding ceremony music for further guidance. Q: Do you play in a band as well? A: Yes - I played in a funk-soul jam band with Myles Sanko for many years, and have produced/featured on singer-songwriter Ian Jeffs' debut EP Last Days at the Farm. Follow me on Twitter and Facebook for updated news and information on creative projects. NB If you are looking for a band for your evening entertainment then please ask, as I can offer a variety of duo/trio/full-band options. Keys/guitar duo available also. Q: Do you have any favourite venues? A: I've played at some truly spectacular places; many a castle, on a London bus and on various boats... one of the perks of the job! Malcesine Castle on Lake Garda, TV's River Cottage in Devon, the Dorchester Hotel, and Arsenal FC's Emirates Stadium in London immediately spring to mind, plus there are several local venues I am strongly linked with including being a recommended supplier at Chippenham Park and South Farm in Cambridgeshire. Q: Can you provide background music during your breaks? A: Yes - either via my iTunes library, or alternatively I'm happy to put an iPod through my amp if you have your own music. Usually though, venues have their own in-house PA system. Q: Do you play wedding ceremonies as well as receptions? A: Yes - absolutely - although in most cases I play during the post-ceremony drinks reception leading up to the wedding breakfast. Q: I've seen your profile on Alive Network as Andy Cherry - it it better to book you independently? A: Ultimately yes, because the quoted price will not include commission. 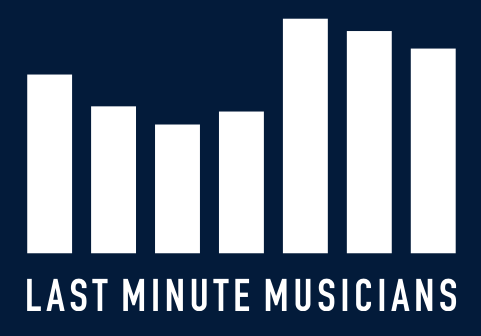 I'm associated with Freak Music and Last Minute Musicians among others. A: Perez 630CE electro-classical guitar, Jim Dunlop Jazz III picks, D'Addario Pro Arté black nylon strings, Roland AC-33 amp, Boss RC-2 loop pedal (previously Electro-Harmonix 720), Cleartone cables and Eneloop Pro rechargeable AA batteries. Q: How do you cope with changeable weather? A: Well, good old England likes to throw a curveball or two when it comes to changeable conditions; fortunately I can move relatively quickly if a shower moves in and can setup indoors or outdoors without the need for mains power. In the event of a super-heatwave similar to 2018 hopefully there will be sufficient shade (and cold beer) available. Q: How can you play without having the music in front of you? A: I've had no formal musical training and don't read music - it's all done 'by ear' and memory. Improvisation is a key feature in my performance, tailored to the atmosphere and requirements of the situation. Classical acoustic live wedding music entertainment for hire, professional wedding suppler, reliable wedding musician, affordable highly recommended best value solo instrumental guitar music ideal background corporate and private events such as wedding ceremonies aisle walk music and receptions with a unique repertoire of modern popular music wedding songs. Excellent recommended live wedding music supplier based in Cambridgeshire UK, available London, Hertfordshire, Bedfordshire, Essex, Kent, Oxfordshire, Buckinghamshire. My unique repertoire is a little different to other classical guitarists in that it is based exclusively on well-known popular hits from sixties rock and jazz to present day jazz blues, pop & rock music on classical guitar. As a result it includes instrumental guitar versions of your favourite artists David Bowie, Taylor Swift. Elton John, Jimi Hendrix, Dave Brubeck, Pink Floyd, Ed Sheeran, Clean Bandit, John Williams film soundtracks and many more artists. Perfect best live wedding music for music and movie soundtrack lovers. Available across the south of England, I can operate indoors or outdoors independent of mains power and typically perform for ceremony and reception two hours. Because of this I am portable indoor/outdoor flexible and can play outside without mains power. I am professional, reliable and highly recommended on Google and Facebook. 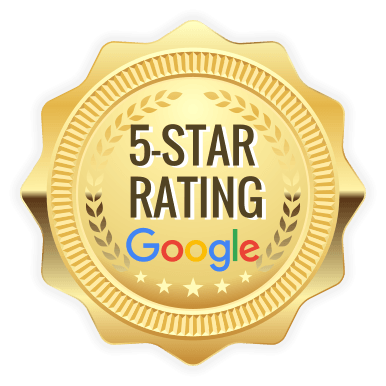 Recommended on Google and Facebook with lots of five star reviews. Best value guitarist in UK United Kingdom. Available in Cambridge, London and Southern UK. As a result, I will be available summer 2019. Customers may request a song not already in my existing repertoire but I can learn it for a supplementary fee. I will always do my best to accommodate your requests, should you have a special song in mind you’d like me to learn. Given enough notice, I can perform (a version of) a specified piece for an additional fee of £30.